All star parties and many Friends of Palomar Observatory lecture events take place in the Outreach Center. 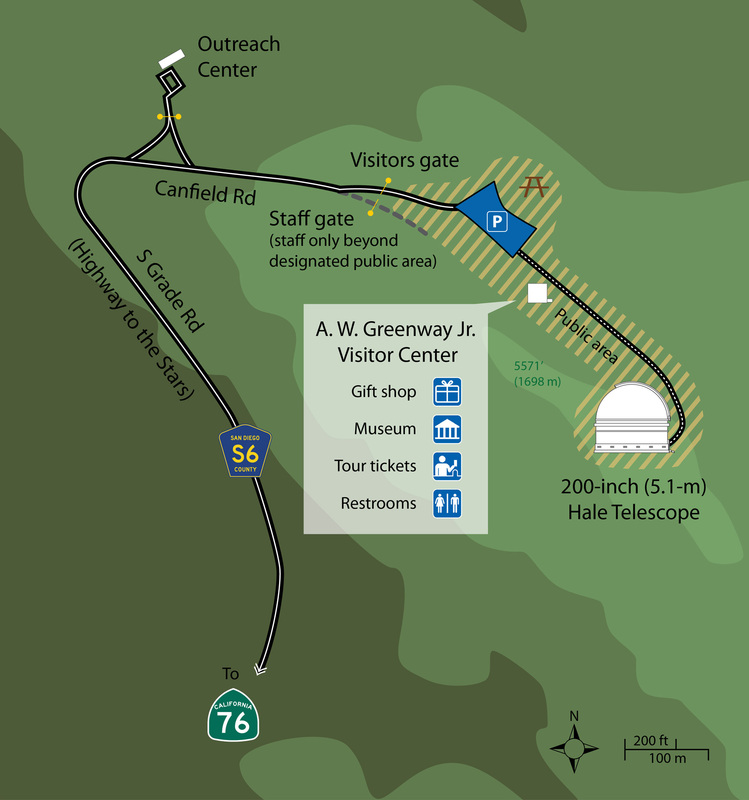 The Outreach Center is what was until 2008 the Palomar Mountain School building, 880 feet (270 meters) outside the Observatory gates. On the right is a map that shows its location with respect other Observatory buildings. 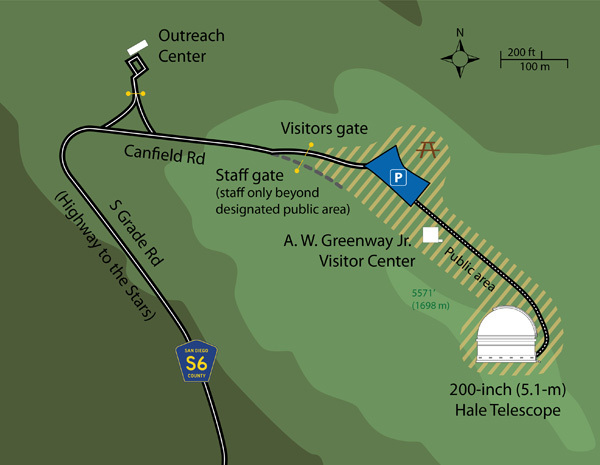 To reach the Outreach Center and Palomar Observatory, please follow the directions in our driving directions page. Parking is available at Outreach Center for Friends of Palomar events.